How to save files from Excel, PowerPoint, Publisher, and Word as PDF files. This article shows Office 2016, but the process also works in Office 2013. 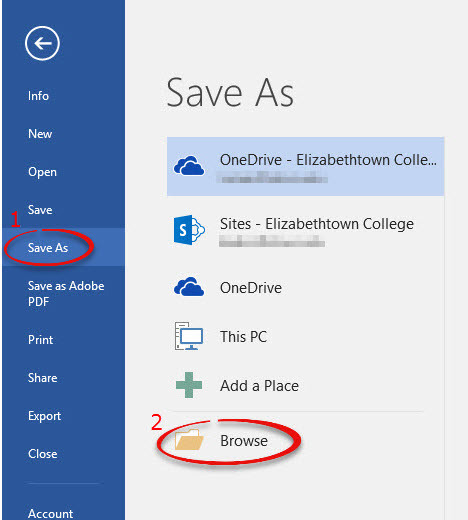 Step 1:Open the file in the Office program.Step 2:Under the File tab, choose Save As. Click Browse. 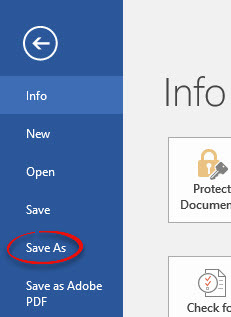 Step 3:Next to Save as type, choose PDF from the dropdown list. Choose a name and location for the file, then click Save.